A great read for a cold January night. 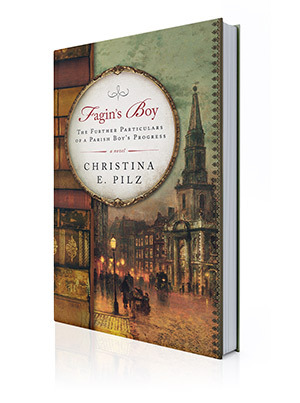 Back around November of last year, I was contacted by a writer called Christina Pilz, asking me if I was free to do a critique of her already published historical novel, Fagin’s Boy. The intriguing thing about her book was that it was a sequel to Oliver Twist with an M/M slant, where Oliver and the Artful Dodger meet again in London several years after Dickens’s novel ended and slowly become… quite intimate! Since I love both the M/M genre and historical fiction in general, I gave Christina a quote and happily accepted the assignment. I let her know that I thought that the sexual relationship between the boys happened too suddenly in the later part of the book and that her audience would be eager to see more of the budding relationship sooner. Christina went off to do her revisions and then sent me the revised novel for proofing. The MS was over 170K, but I enjoyed Christina’s authentically Victorian writing style and the way she conveyed the harsh beauty of Dickensian London so much, I didn’t hesitate. Flash forward to today, when the revised edition of the book is out with a new cover and, to my great surprise, Christina wrote glowingly about my editorial services on her site (http://www.christinaepilz.com/fagins-boy-revised-content/). It’s not often that clients take the time to acknowledge me in this way, and I’m extremely grateful.